One of my domains is up for renewal next month, and when I got an email from godaddy.com with a discount code for 25% off, I figured I would renew now. The web site stated the expected wait time was only 2 minutes, so, I decided to contact Go Daddy by phone. I spoke to a very nice person (didn’t remember his name) and he asked me to forward the email with the discount code so he could check it out. He took a few minutes to research the problem, and even though he didn’t have an answer to why it messed up, he applied one of the discount codes from my previous order that gave me 30% off each renewal. Even better! Yay! So, after I hung up, I decided to add one more domain renewal to the shopping cart; might as well, since 30% was the lowest I have seen it. But alas, when I added the fifth domain, the prices got messed up again. Darn! I didn’t want to phone them again, so google to the rescue. I searched for “go daddy 30% off coupon” and found what appeared to be an expired code for April, 2009. What the heck, I tried it anyway, and it worked! 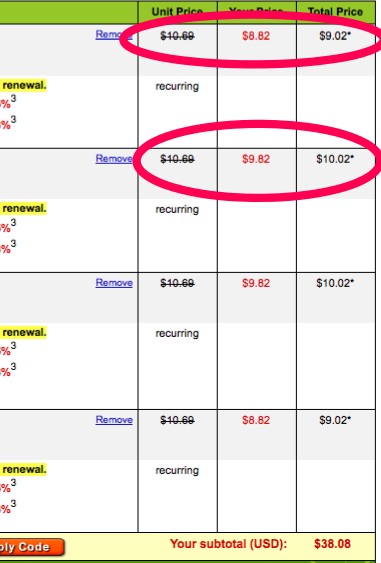 Yay, all 5 domain renewals were discounted 30% and I was happy. By the way, the discount code is “CHH3” – looks like you can use it all the time. I still don’t know what was up with the first discount and why it showed two different prices like that, but I am glad it did; I might not have even realized that the 25% wasn’t correctly applied had it not been for the wacky price error. So, I am thankful for that! PS. SplashofStyle.com has been renewed until Oct 10, 2010! I had a very bizarre situation with my account on Twitter tonight. It looks like once the letter case of a user name has been changed, there is a window of opportunity for another account to be created with the original name and letter case. Originally, my Twitter user name was “debbiet” with all small letters. 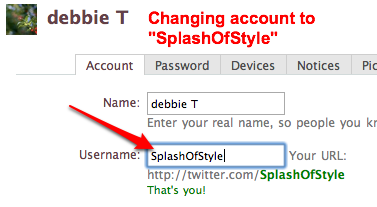 I thought it might be better to rename my account to “debbieT”, so I edited the user name setting. I am paranoid and I wasn’t aware if Twitter was case sensitive or not; I needed to confirm that no one else could sign up with the account “debbiet”. For kicks, I logged out, and signed up for a new account. To my surprise, it showed that “debbiet” was indeed available. Yikes! I panicked and finished signing up using a different email account. I logged out of the new account, and then tried logging in with my username “debbieT” and I was shocked to see my profile was blank and was reverting to the new “debbiet” account I just opened. There were no tweets, followers, or follows. It was totally blank! I checked Twhirl and it displayed my account as usual, with my followers, follows, and tweets. So, I logged out, and tried searching on Twitter for debbiet, and the result displayed my original account, but when I clicked on the account link, it reverted to the blank “debbiet” profile. I tried googling, and no one else seemed to have this problem. I was in a panic. I was afraid if I tried fixing it, I would permanently damage my real account and lose everything. Thankfully, I realized I could log in using my email address instead. That worked, I could see my original home page and my follows/followers, but as soon as I clicked on my profile link, it reverted to my empty “debbiet” account. I tried posting a help message to Twitter, but I got a canned reply with a link to “missing tweets” – no use at all. Then light dawned, and I thought, what if I changed the second account “debbiet” to a different user name. Yes! That worked! My “debbieT” account was back to normal. Phew! Of course, this situation probably will never happen in real life. But even though it is highly unlikely for someone to rename their user name at the exact same time as a new user signing up, it does pose a risk. With millions of Twitter users, and more coming every day, I suppose nothing is impossible, especially with popular user names. 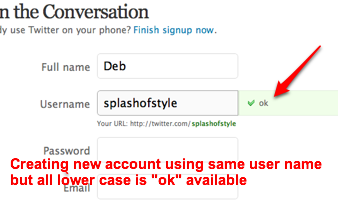 Before publishing this post, I decided to try to duplicate the problem using one of my other Twitter accounts “splashofstyle” (all lower case). Screen shots included below. 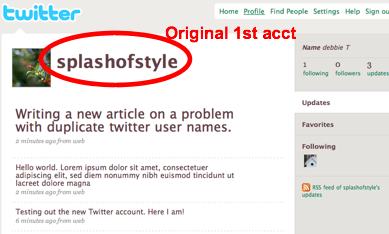 I renamed my user name to “SplashOfStyle” using upper case letters. I immediately logged out, and tried to sign up with the same name “splashofstyle” using a different email address. The user name showed “ok” (available), so I completed the sign up. I logged out of the 2nd account, and back into the 1st account, and lo and behold, my home page and profile pages seemed to be just fine. Hmm, curious. So, I logged out, and back into the 2nd account (duplicate), and the problem hit the 2nd account this time, not my original 1st account. The 2nd account’s home page was okay, but the profile page reverted to my 1st account with my original tweets and follows. After a few attempts logging in and out, now my 1st account was messed up with reverting to the 2nd account’s profile page. Again, this will situation probably not happen in real life, but it might be something for Twitter to look into and possibly fix. Yay, I have been waiting for this. 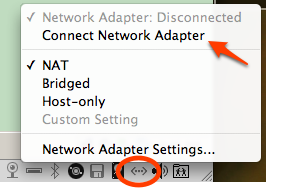 Carbonite is now fully supported for Mac users. $50 per year buys you unlimited storage. I was always so intrigued by Carbonite after hearing Leo Laporte’s commercials on his Tech Guy radio show and podcast. I know I knew about this before, but never really looked into it….but Google has a very large collection of books to browse. Add the books to “Your Library” so you can save them for later. There’s tons of web design, html, css, and photography books available, with links to Amazon & Barnes and Noble. Very cool! This afternoon, I am going to rant! I apologize if this offends anyone, but I am just ticked off today! Who do these so-called bloggers think they are!? They convince themselves that they are offering some sort of service to their visitors. Pretending to be “authors” but all they are doing is stealing someone else’s copyrighted content. Case in point, this “gentleman” decided that he would create a blogger blog and just blog about all his favorite useful content from other various web sites. Just in case the post is removed, here is a screen shot of his post and the original content on my web site. If you look at other posts on this particular blog, as well as his many other blogs, it is an unusual occurrence that he has an original thought of his own. It’s all created by someone else! Sure, he thinks he is doing his bit by adding a link back to the original site, and he probably thinks that it’s flattering to the author that he is parroting their content. But bottom line, he is a thief and he has no idea that what he is doing is wrong, and probably never will. Hello! If you want to collect links and useful content, open a delicious bookmarks account, don’t steal it and post it to blogger! I contacted this gentleman a few weeks ago, but he ignored my request to remove my content from his site. So, today I wrote a letter to Google to explain my situation and hopefully they will take action. I apologize to all my regular visitors for this rant. I try not to be too judgmental on this site, but it just angers me that these clueless people are out there! Thanks for listening! This is a very basic, very beginner’s tutorial. It’s for my Dad, especially since he loves to share Craig’s List items with me and my Husband. It’s very easy to send a web page link to others by email, especially if you use email software like Thunderbird, Outlook Express, or Apple Mail. 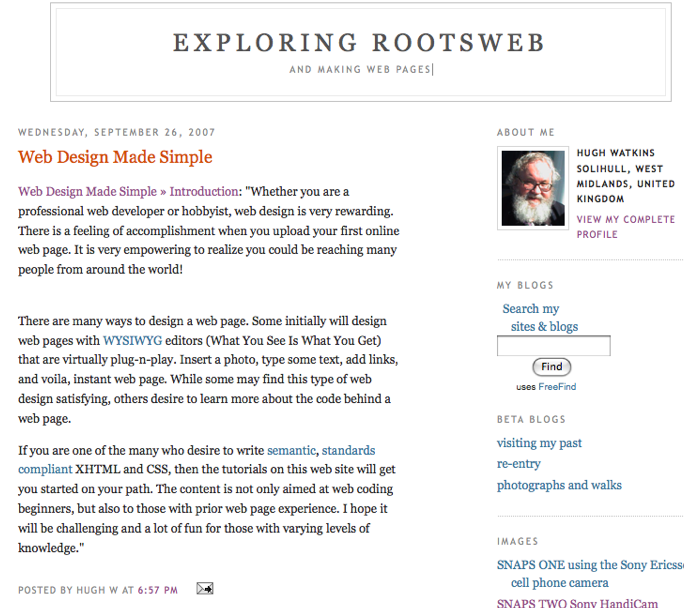 One of my older web sites is in desperate need of a new web design; the problem is I am so rusty and out of practice. sigh, one of the perils of getting older! You don’t use it, you will lose it! I needed to re-learn CSS positioning and layout, so I took a couple of days and read through Chapter 8 of the CSS Anthology book by Rachel Andrew. Fantastic book for learning the bits and pieces of CSS. So, I think I now have recovered enough knowledge to tackle my project. Back a couple of years ago, when I was regularly designing, designers had to worry about coding for horribly outdated browsers like IE 5 for Windows & Mac and Netscape 4. Thankfully, the browser stats for the site I am redesigning show an insignificant number of visitors using these outdated browsers. I still have to deal with IE6 (which still shows about 30% of my visitors) but the design will be simple, so I don’t foresee a problem. Uh oh, I probably just jinxed myself! And while we are on the subject of IE6, who ARE these people still using that insecure browser? The cool thing is the stats show about 17% of visitors are using a version of Firefox. It is not a techie site, so that is good news! Emails from fortitudehosting.com – Legitimate or not? Hi my name is Jeff and I came across your page http://www.debbietdesigns.com/learn/13/web-hosting/ which would be great for a text link to my client, www.geekcertified.com . What I am looking for is a small text link, web hosting, incorporated into the article. If you keep it for at least a year, I will contribute $75 up front by check or pay pal. Which would you prefer? Click Settings (top right), then choose the Themes tab. I am loving the “Tea House” theme right about now. So cute.